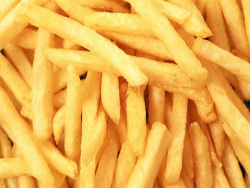 The US potato industry, with $3.5 billion in raw product value, has identified acrylamide as the number one issue facing its long-time profitability and its number one research funding priority because of potential health concerns related to the presence of acrylamide in finished potato products. Acrylamide is present in carbohydrate rich foods processed at high temperatures including potato chips, French fries and other processed products that together account for over half of US potato consumption. 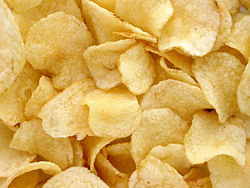 Acrylamide is formed in a non-enzymatic reaction from asparagine and the reducing sugars glucose and fructose. Acrylamide is a suspect carcinogen in humans, and research in this area is ongoing worldwide. The potato industry has a critical need for varieties that produce lower acrylamide in end products, while remaining or exceeding the agronomic and consumer acceptance traits found in current varieties. Improvements in potato breeding approaches and coordinated efforts for new variety adoption are required so that industry can respond rapidly to changing consumer preferences, improve raw tuber quality and reduce health concern over acrylamide. The SCRI-Acrylamide was supported by the Specialty Crop Research Institute of USDA`s National Institute of Food and Agriculture. The project was awarded $7.8 million between 9/1/2011 through 8/31/2016. Website designed and maintained by Yi Wang.